Inappropriate gifts will miss the mark. Select a gift which is appropriate for your client and reflects the longevity and/or extent of your business relationship. An overly expensive showpiece without specific function may be less desirable than a less expensive but far more functional gift. Conversely, not spending enough when you have made a large financial gain from your client may appear miserly. Presentation is key. 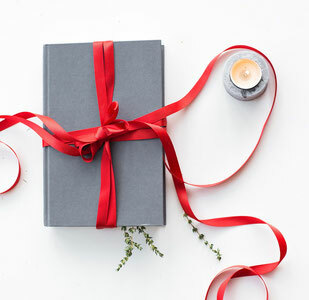 Pay attention to presentation when gifting. Corporate gifting specialists will save you a great deal of time and effort by providing professionally presented, quality gifts. Many also offer the service of branding items with your corporate colours or logo. Thoughtful words are priceless, so a personalised handwritten message is a must! Holidays like Christmas are popular time to give gifts to your clients. However, marking special occasions relating to your specific relationship can be more special and show a greater level of care and thoughtfulness. For example – reaching a milestone, a date when you started your first project together or the completion of a business deal are good examples. Your client may come from a different cultural or religious background. This may require you to do some research to ensure you respect these differences. Any gift that could be considered disrespectful to the recipient can be hazardous for both you and your business. Your corporate gift giving reflects on your business, so ensure you have considered these factors so the gift presents you in the best possible light.